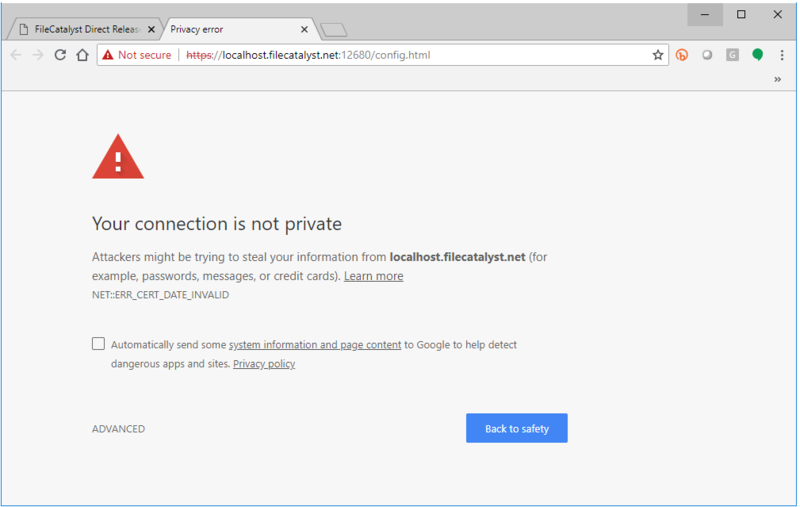 The TransferAgent Client contains an SSL Certificate to secure the domain localhost.filecatalyst.net. This domain is used to access the configuration pages and the Express application that is hosted inside the TransferAgent client. Customers who have access to the Download Archive can access the latest builds of TransferAgent Client and upgrade. Any v3.7.2 build will contain a certificate which does not expire until 2021. For a complete solutions guide please click here.